ÞORGERÐUR INGÓLFSDÓTTIR studied music in Iceland, the United States, Austria, and England. 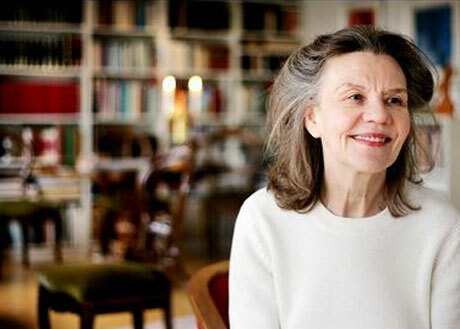 She has received many prizes and awards, including the Prize of Optimism from Brøste in Copenhagen in 1983 and an award from Leonie Sonnings Music Fund in 1975. She was awarded the Order of the Knight of the Falcon by the President of Iceland in 1985 for her pioneering musical work in Iceland. In 1992 the Icelandic Performing Rights Society (STEF) granted her special recognition for the performance of Icelandic choral music. In 1992 the King of Norway appointed her a Commander of the Royal Order of Merit. In 2000 she was the director of the Voices of Europe, a multi-national youth choir made up of singers from each of that year’s nine European Cities of Culture. The choir performed throughout Europe to outstanding reviews. In 2008 she was made an honorary member of the Society of Icelandic Musicians. In June 2012 she was appointed Reykjavík City’s Honorary Artist.